Narcotics/Vice Bureau detectives report the arrests of two Flushing, Queens woman on January 27, 2014 at 2:15 pm in Roslyn Heights. Roslyn Heights, NY - January 28th, 2014 - Narcotics/Vice Bureau detectives report the arrests of two Flushing, Queens woman on January 27, 2014 at 2:15 pm in Roslyn Heights. According to detectives, while inside 10 Harvard Street, an unnamed storefront, undercover detectives did receive unlicensed massages from Yao Ping, 45, of 140-14 Cherry Avenue Apt. 4B and Hong Ru Wang, 48, of 4260 Main Street for an agreed upon amount of money. Both defendants then offered to perform a sexual act on the detectives for an additional amount of money. Ping and Wang were then placed under arrest without incident. Both defendants will be arraigned in First District Court, Hempstead on January 28, 2014. 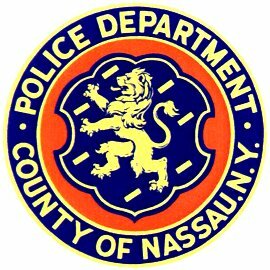 Subject: LongIsland.com - Your Name sent you Article details of "Two Queens Women Arrested in Roslyn Heights for Illegal Massage"